After finding these pictures on the Internet, I was going to just use them for reference, cut them up, that kinda nonsense, but they are good quality, well taken and nicely posed, so I figured what the hell, they deserve a post all of their own, It's not often that I find good quality pictures of a subject that I'm interested in these days, well, regarding tanks anyway, most pictures are done from a 'walkround' perspective, highlighting detail, or they are butchered with watermarks and logo's, that kinda thing. These pictures were taken at the War and Peace Revival/Festival/Show (whatever they are calling it these days) that took place in 2015, the show is held near Folkstone in Kent, and for anyone who isn't geographically aware, that's in the UK, just think of a port town, south-east England, that kinda thing, you're near enough. And below, the wondrous thing that is Youtube, this is worth a watch just for the incredible sound of the engine, if you are one of those mechanically minded people, love engines, taking things apart for no other reason than to find out how they work, motorbikes, that kinda thing, then you should like this. Man, talk about a blast from the past... I started over, back with page 1, just to get in the mood again. This thread is so old, SK has gone to the great food bowl in the sky, we've moved, and I haven't built (or even started) a Sherman in well over a year. That begs the question, did it get you in the mood again? (lol) and yes this thread is so old that there's actually some new info on the web regarding the Grizzly, so I'm still tidying up and sorting out loose ends, that kinda thing, constant edits in the build log. 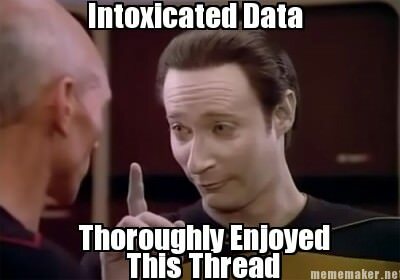 Gotta stay off the internet if I'm not in a good mood.... and yes, lots of Merks on the market now, great time to be an IDF junkie like me. I'm currently trying to use up as many spare M60 kits as I can, having accumulated lots of kits and bits over the years. I have done a HobbyBoss Merk3 and an Academy Merk4 over the last year or so, and trying to decide on what to do with the various Tamiya and Academy Merk kits in the stash now, maybe something SciFi.... time will tell. Keep on with the Grizzly, always great to follow your progress. there is a grizzly at the Fagen air museum in Minnesota. If you are talking about that round hole in the rear of the tank highlighted in the square??? That is where you insert the engine crank. Applies only to radial engined Shermans. If it has been a bit since the engine has been run you (and two or three of your best friends) will need to turn the engine over a number of times using the crank. Engine oil will have accumulated in the lower cylinders of the radial and if you simply try to start the engine as-is you stand a fair chance of blowing the cylinder head off one or more of the lower pistons. 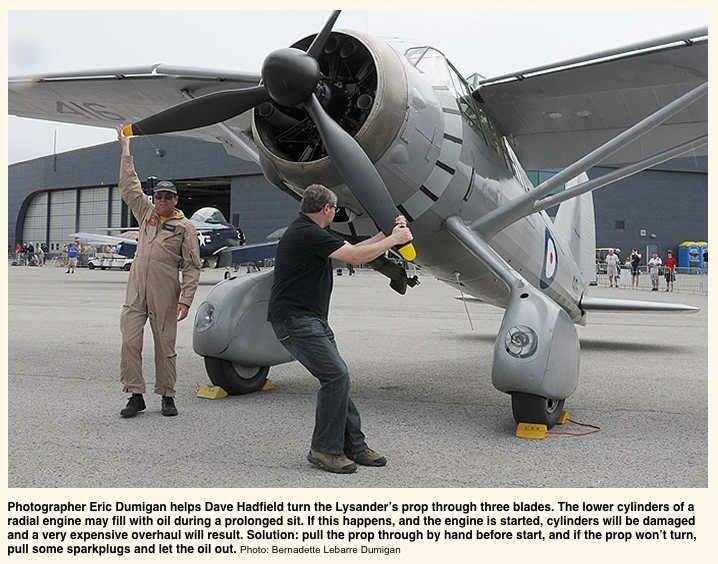 That is why you often see, in old movies, the flight crew of a B 17 or 24 doing the "propeller walk", using the propellers to turn the radial engines over to redistribute the engine oil before starting. Photo used here for discussion and research purposes only. This is just amazing, Matt...love scratchbuilding, especially well presented SBS like this!! Where in the East Mids are you? Thankyou Rob, glad you like the build log. I'm on the Nottinghamshire/Lincolnshire border, in between Newark and Lincoln, the birthplace of the Tank, they put that monument up a couple of years ago, across the road from the University, on a roundabout, which is a little bit strange tbh. Well, he's starting to look a little tired is our old friend Mr Grizzly, he's a few years older, and a few years wiser, and by the looks of this picture, he's starting to appreciate the virtues of a good old sit down for an hour or two (two years) just to rest his weary bones for a while, plus, he's looking a lot more chilled out now, relaxed, that must be an age thing, also worthy of note, the mouth is firmly shut this time, that's probably a good thing to be honest, and the ears? Those little fluffy ears? Yeah, he's still cute, they say time changes everything,..but some things never change. It would seem that the good folks over at Shadock call the 'rain gutter' a Grizzly Groove, so from now on I shall do the same, and it would seem that Mr Tasca has made things a little easier with regards to marking out the lines needed to cut the groove into the hull, if you look underneath the hull at the two exhaust locator points you will see that the gap between them is pretty much spot on size wise for the groove, so you can simply transfer this width to the top surface and grind away with a cutter. Or, you can simply mark out the required size by using the engine deck opening, simply measure in 20mm from each side of the opening, this will give you a 5mm gap which looks pretty much spot on to my eye for the width of the Grizzly Groove, that 5mm needs to include the curved edge radius as well, the flat bottom of the groove is only about 3.5mm, Tasca also provide a small indent in the plastic where the crank handle hole needs to go, so easy enough to do that. Crappy out of focus pictures as always, with a blue knife to try and make my camera focus where I want it to, lol. Pictures below, and just to get back into the swing of things I made some little applique armour plates to replace the Tasca items, the Tasca items are not bad to be honest, It's just that I need plates that are a different shape and that have been cut differently, the Tasca plates are curved on the back face to make them fit the curvy M4A1 hull, and they fit very well, but I wanted plates that have been cut into smaller sections like the real thing, which allows them to fit the curves. The gaps between the plates will hopefully be filled with either stretched plastic sprue or Milliput to create the welds which are fairly rough looking and fairly wide, not sure yet, probably Milliput, it can blended and shaped better, and I can rip it out easy if I don't like it, and need to redo it. Kharkov - "Clubbed to death? Snuggles?" Snuggles - "We should be Dad,..for carrying on with this nonsense." Kharkov - "You're such a pessimist sometimes Snuggles." Snuggles - "It comes with the job Dad." Kharkov - "But, you're a Doctor!" Well, as the pictures below show, there's not really that many options with regards to all the major stuff to be honest, for a Grizzly you need a low bustle turret with no loaders hatch, no pistol port and cast-in applique armour cheek, this Grizzly is fitted with the early type M34 gun mount which should have two lifting rings on the top and the fitting plate should extend down the right hand side, Tasca provide this gun mount in the kit, along with the later type, everything else detail wise can be worried about later, hopefully. Pictures above, this is the turret Tasca/Asuka provides in their M4A1 Sherman kit, complete with a pistol port, which needs to be removed, and no cast-in applique armour cheek, which is unfortunate for me at least as it means I've got to add it, and reshaping turrets is not one of my strong points if I'm honest, Tasca do provide the 'welded on' armour cheek in the kit, which is well done, and fits perfectly. As can be seen in the picture below, the area inside the turret, right behind the Pistol Port, there is a fookin great big trench of missing plastic, meaning that if you grind away the plastic on the outside to remove the Pistol Port you will be left with paper thin plastic, which is not good, so fill in the gap, layer in some plastic (as in the picture) or use a solid lump of plastic, or even some Milliput, anything, anything is better than nothing, then go on the outside and fill in the Pistol Port hole with plastic card and then grind/sand/file away that port. And this is me struggling to reshape a turret to add the cast-in applique armour cheek, I was tempted to do it with Milliput, but I bloody hate working with Milliput, everything just ends up a mess, me, my tools, everthing, a figure sculpter would do this in 10min's, and then ask what all the fuss was about, but I'm not a sculpter, and I hate these kinda jobs, but anyway, I bodged it with plastic card, CA glue and baking powder (yes, again) to force the dry time. He's only gone and done it again, bless him, he sensed that I was struggling with something that should be fairly simple for a good scratch builder, but with me not being a good scratch builder, he decided to help me out, I went to sleep, and this was on my bench in the morning, I said "WTF is that?" He said "I made you a mushroom Dad!" Snuggles is 'Pro' now, he's even got his own little cat sig in the corner. Kharkov - "My ever worrying mind? Snuggles? Snuggles - "The shameful lowlands of the way I'm drifting, Dad." Kharkov - "Trip to Disneyland, Paris,..Snuggles?" Snuggles - "Is Mickey still alive Dad?" Kharkov - "Just a man in a costume, Snuggles." Snuggles - "Always shattering my dreams..."
Pictures above, this simply shows the the splash guard tool in action (lol) As I've found out to my cost in the past, getting a very small curved piece of plastic to behave itself (it needs to be in exactly the right place) while I glue it to another piece of card can cause problems (rage) This little tool makes the job easy, just put some plastic strip of the correct size in the groove, apply some slow drying CA, then plonk the engine deck on top, which is held by the tool in the right place. Pictures above, this is where the problems start, that little etched air intake screen that I have fitted to the deck, well, Tasca tell you to fit it to the underside of the armoured cover, Dragon show it fitted to the engine deck, and some of the resin M4A1 hulls that I've seen seem to show it fitted to the engine deck as well, who's right? I don't know, mines on the engine deck, and you can't really see it once the armoured cover is installed anyway. The holes in the card on the back (picture above) are to allow CA to be fed into the joint, everything is glued together with CA, that way there shouldn't be any problems with the card warping, if it was three layers of card then plastic cement would maybe be ok, as the two layers of glue should cancel each other out, but with just two layers, plastic cement would probably warp the deck, as it's only 1mm thick card. Snuggles - "You're a one trick pony Dad!" Kharkov - "It's the only one I know,..Snuggles." Snuggles - "And you're crap with auto primer..."
Kharkov - "Don't do paint, Snuggles." Well, in the last post I was waffling on about whether the air intake screen should be attached to the engine deck or the armoured cover, so I went hunting pictures and I managed to find two fairly good close up reference pictures of where the air intake screen sits, plus they are good pictures of the rough cast texture on the armoured cover, and also the rough n ready look of the fuel filler caps, the first picture also shows the very tight clearance between the turret bustle and the armoured cover, which is something I discovered when making my deck. The pictures don't help much to be honest, but they do show that when the armoured air intake cover is closed, the air intake screen/mesh sits flush with the deck, so it doesn't really matter where its fitted to be honest. Pictures below, I have simply added the two filler caps that sit either side of the armoured cover, this fills in those two large holes that can be seen in all my other pictures, these are the Tasca parts, they have been stippled with primer to roughen them a bit, and then sprayed white (auto primer, again) Then the little metal release handles added. So I'm calling my engine deck done now. Looks good. One has to be impressed with some one that makes a part for the sole reason to see if they can. Nice use of that jig, I wish I could claim to be that smart. I just fight with the bending moving plastic.. think your way is better. Matt, I love the work you have put into this so far, your scratchbuilding skills are amazing, you have an unerring precision with what you do, and you are training Snuggles well to be an able assistant! Hello Easy, how's you these days? I was in my favourite model shop the other day, browsing the kits, and on the shelf was a Dragon M4A3E8 Thunderbolt kit, I looked at it with a wry smile and thought of you, I seem to remember you mentioning that you built one, years ago, logs on the side, then I remembered a Youtube vid of a guy building that kit, he nearly rage quit model making for good, so I left it on the shelf. I just fight with the bending moving plastic. I am doing well..ish. Last year I took a dream job in Taiwan. We moved from Florida there, Had to fit all my stuff in two suit cases, with no hazmat. Got things all set up in Taiwan to be able to model again (purchased and learned to use Tamiya enamels) and even finised two out of the box tanks. Then life reminded me that the best laid plans are not to be. The contract I was on did not get renewed, so no more job... I am now typing this from Washington state. All my stuff is literally on a slow boat from China.. So life is mid change and no modeling in the near future. I did build the Thunderbolt kit a few years back. The only issues I had was the tracks and that was lack of skill on my part. It is tucked away in a box in storage in Flordia. I must admit to an addiction to the E8. I picked up another copy of that kit at a local show along with the Tamiay rebox of the tasca kit (with the figs) and right before I left Taiwan I got the new Tamiya E8 (they claim new molds) This one is next on the build list, maybe I will try a build log, have never done one. It is good to see the white plastic moving again on this one, I look foward to the day it gets to be olive drab, untill then keep an eye on snuggles and keep up the good work. All my stuff is literally on a slow boat from China..
Good lord, and I thought I had a chaotic model making life, from now on I shall count myself lucky, at least all my stuff is in the same place, just has to be packed away now and again, your woes certainly put things into perspective. It's a good looking tank, mean and moody, and while on the subject of Tamiya's Easy Eight kits and build logs, I did some messing around work on a Tamiya M4A3E8 turret, it was going to be a build log, but I never got round to it, and decided it was probably better to concentrate on the Grizzly for a bit. It's just a variation on the old M4A3E8 Thunderbolt additional armour theme, I wanted something that looked rough n ready, and bolted on, but I'm still undecided as to what to do with the hull. I have read about units cutting the front plate off a panther tank and putting them on the front of a sherman. I have never seen a pic of this, a challenge for Frency, but I have had more than a passing though about building a tank up armored like that. I am sure that snuggles can scratch up a nice torch cut panter front plate for you. There would be a whole lot of nose down attitude to add as well. Just a thought, it would look good with that turret.. a pen on the panther plate and maybe a bounce or two on it.. I have read about units cutting the front plate off a panther tank and putting them on the front of a Sherman. I have never seen a pic of this. It was kinda based, or inspired by this famous picture showing cut up plates from knocked out Sherman's that have been welded to the front of another M4A3E8. Kharkov - "Memories of Green? Snuggles?" Snuggles - "Watch the notes, falling beautifully Dad." Kharkov - "You're cutting close to home now? Snuggles?" Snuggles - "You get the car Dad, and I'll get the flowers." Kharkov - "Not been for a long time, Snuggles."